Really simple, I hand wrote "celebrate" with my green glaze pen from Sakura on some white cardstock. I cut out a little flag and wrapped it around a toothpick. 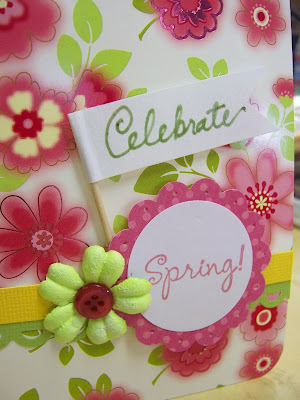 I stamped the word "spring!" 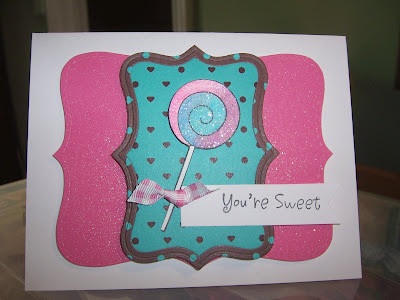 on white cardstock again and I used my scallop punch for the background. I used the "apron lace" border punch on some green cardstock and cut a strip of yellow cardstock to layer over it. 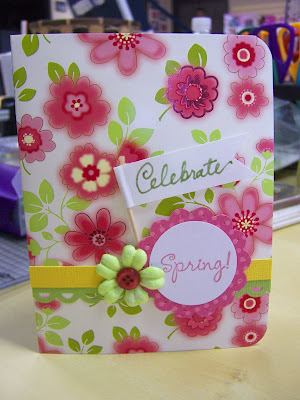 To finish the card I added a flower and a button. 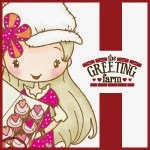 I didn't want to post this card earlier because I didn't want to spoil it for them before they even received it. If they do read my blog beforehand...oops, but it looks better in person. Happy Easter everyone!! 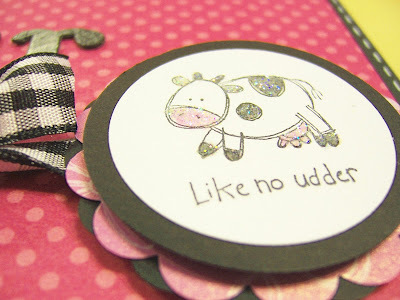 U R "Like No Udder"
I was playing around with this cute stamp from SU! today. 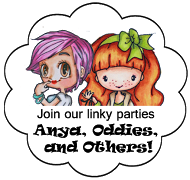 I love their funny pun stamps. 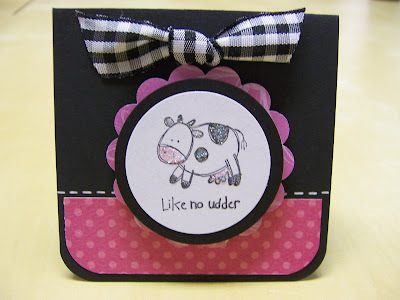 I stamped the cow with black stazon ink and I used a blender pen to color in the pink/black areas of the cow. I then used a glue pen and sprinkled some Dazzling Diamonds (love it!) 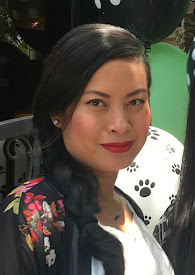 from SU!. The letters are American Crafts Thickers. 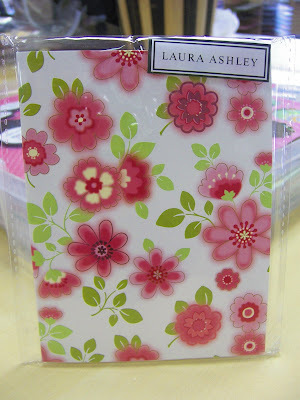 The pink polka dot paper is from Bo Bunny. 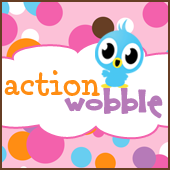 I love the color combo of pink & black. 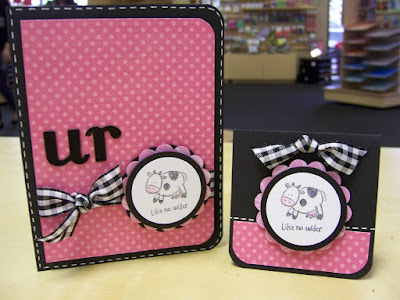 Just a touch of ribbon and some faux stitching completes the cards. If you're interested in purchasing these cards, I will be posting a set of 3 each in my Etsy store soon. 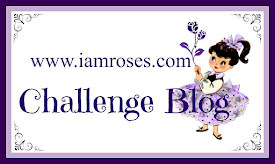 Thanks and hope you enjoy! 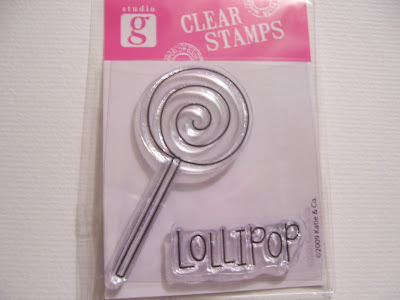 Just something to share, this is a lollipop stamp I got for $1 at Michael's. I used my blender pen and SU! ink pads to color the image in. 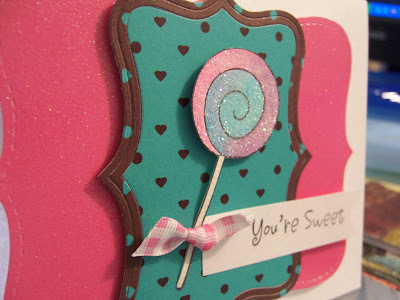 I then used my glue pen and colored all over the lollipop image and sprinkled it with Dazzling Diamonds (SU! product). 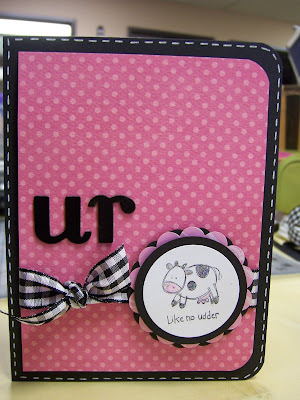 The pink sugar paper in the background was cut with my "Top Note" die from SU!. 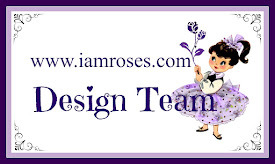 The smaller die cut is from my QK Revolution "Label" die.